This is a coin that has been cut by and and then scalloped into an arrowhead. 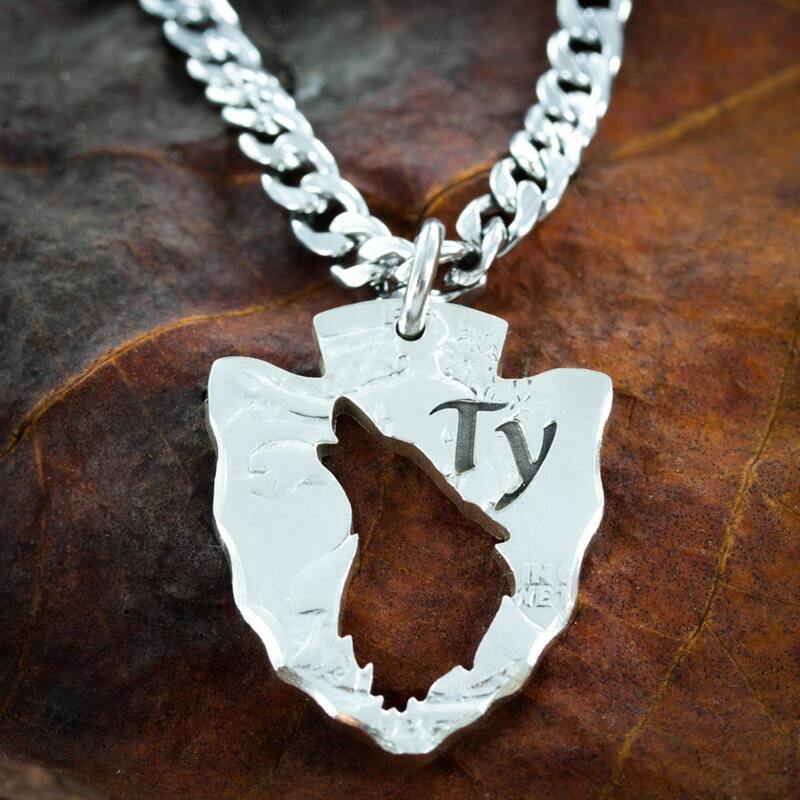 We will engrave your initials, name, date, or even GPS coordinates into the design. Just let us know what you would like engraved in your order comments. The etching is very deep and will last forever. If you have a longer name or a date then we may change the design slightly to accommodate the engraving and to have the piece look balanced. The main picture is made from a silver half dollar. You may also choose to have us cut on a quarter, silver quarter, half dollar, or a whole silver dollar. 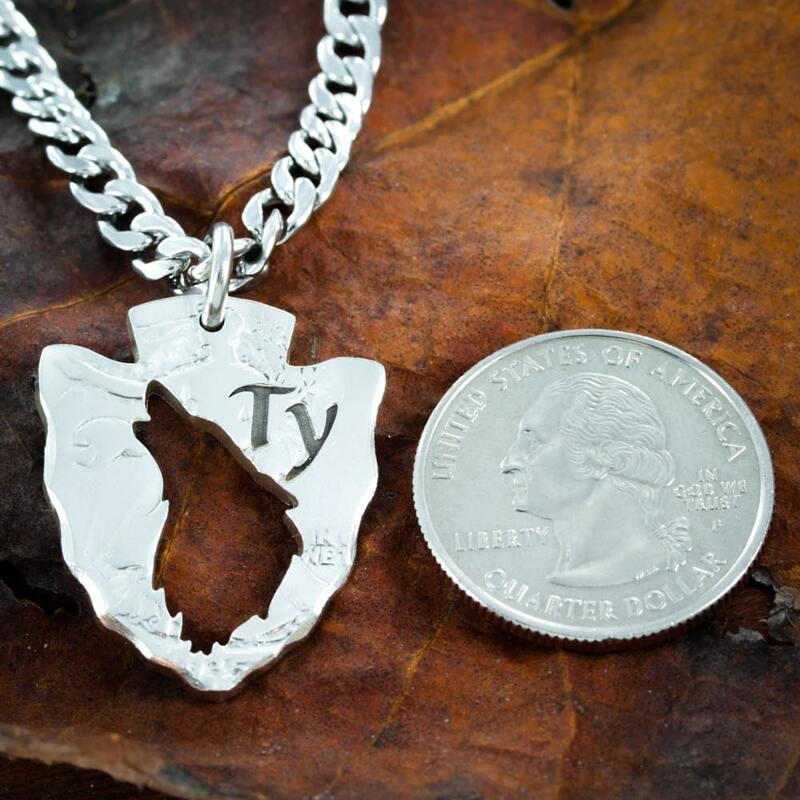 Keep in mind that the quarter option makes a relatively small necklace. I'd leave a picture but the necklace is in Michigan with my mom as I got it as a Mother's Day gift. She loved it! I love this shop because it has unique gifts that are hand cut with stunning details.